I have the most bizarre and crazy dreams, and want to share them with you. They are often too surreal to describe, so maybe you’ll understand them better if I draw them. Hmm, I see a lot of people visit this page, so I guess you want a little more. My dreams can be about anything – I often dream about the sea and killer whales. I seem to dream about food a lot, and magic books. And inappropriate things in bottles. You are welcome to analyse my dreams – good luck with that. I can’t draw very well, but stick figures seem to do the trick most of the time. And who can’t draw stick figures? Indeed. I live in Cape Town, South Africa, with my husband who takes beautiful photos. We now have a baby who we are training to draw her own dreams. She’s very cute. My hair is not very tidy. And because I’m obedient, here’s me with painted toes! Leave a comment, or fill in this form to get hold of me. 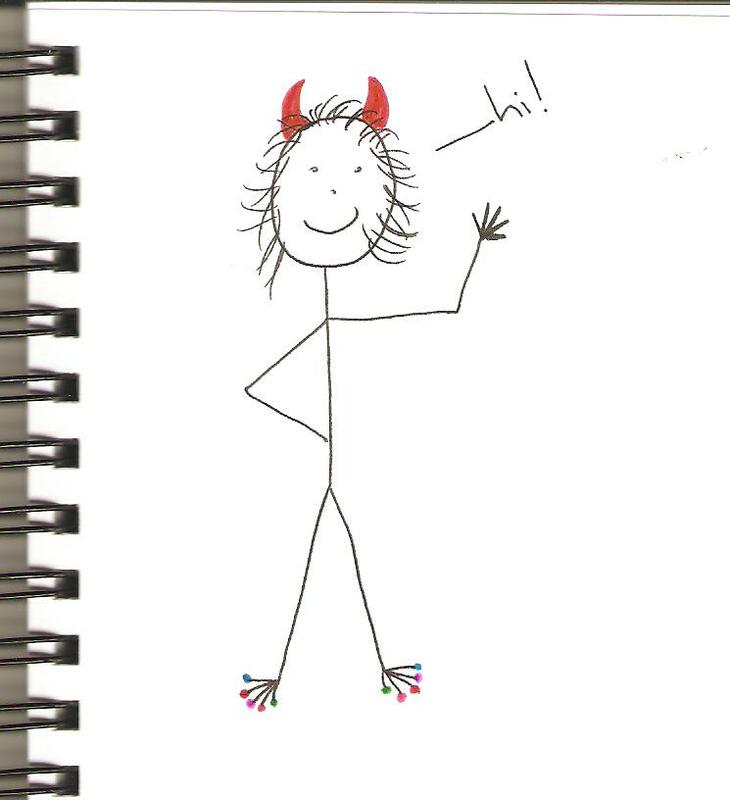 I do love getting guest submissions – especially if you draw them yourself! 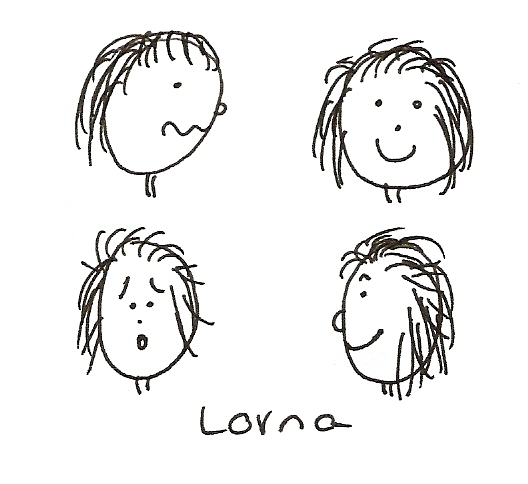 Lorna, please redraw yourself and add multicoloured nail polish! Hi! I saw you as a guest blogger on the Optimist site. Congratulations! I like your stick figures! Yay! I’m a guest submission! Hello 🙂 like the blogger above, I also arrived from DearOptimists.com. Wow. That is interesting. I know we have a lot more dreams than we remember, but I didn’t realise it was around 7 a night!